American Girl Doll Play: Win an Outfit for Your Doll! Win an Outfit for Your Doll! I wanted to share with you a fun giveaway that is currently being hosted by Serendipity Dolls. This is a great company that creates doll clothing to fit American Girl dolls, Corelle, Our Generation, Madame Alexander dolls and more. To enter into the giveaway that they are hosting simply go here and add your email address to their email list sign-up. 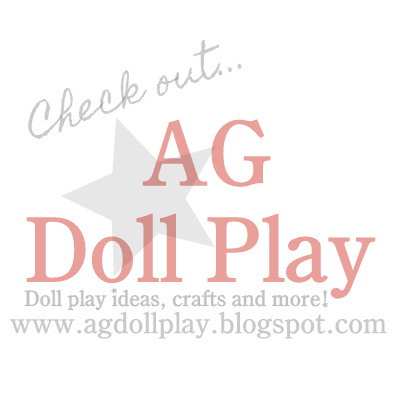 It would be great if an AG Doll Play reader won! Thanks for the information. I entered! Love the color combination. Wonderful Melody, good luck to you! Awesome! Thank you for sharing info about it with us!